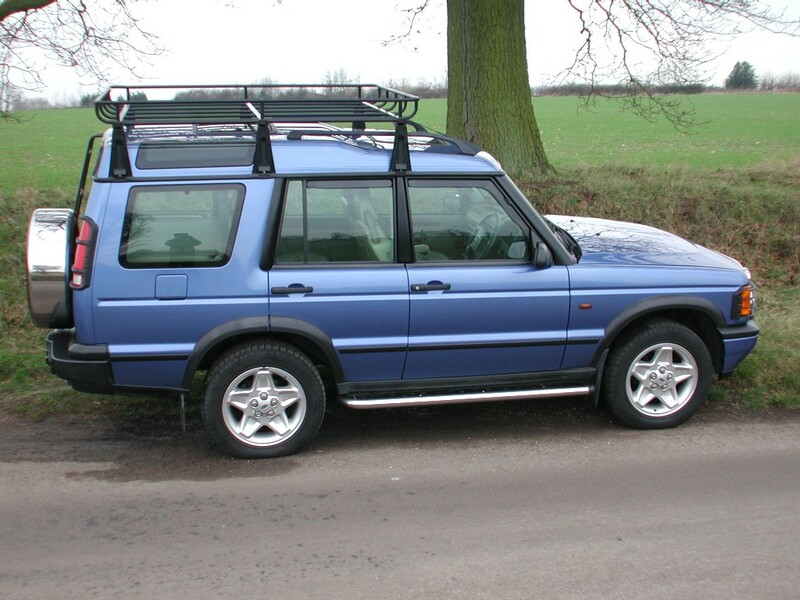 I spent a long time looking at all the types of "aftermarket" rack out there, and I still could not make up my mind, I even ventured into the possibility of "importing" the full length roof hugging roof racks like what Safety Devices used to manufacture, this however would have proven to costly as once you had added UK import and VAT / Duty etc. 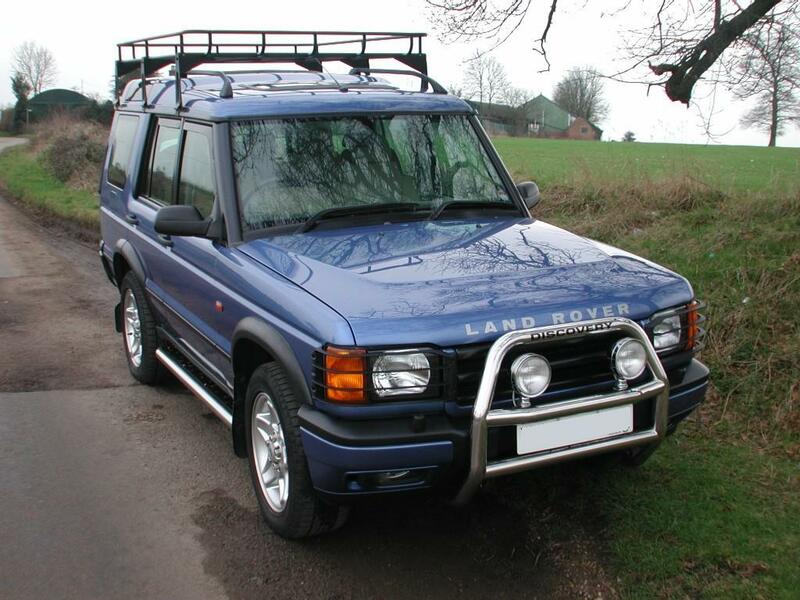 So, I was back searching the UK again, places like Ebay are a good start to give you some idea, I also stumbled across the Genuine accessory cat for the discovery 2 ( in the downloads section) and in there I found the Land Rover Expedition roof rack STC8830AA. I liked its size, how it looked and how it fitted to the car. So eventually I got one at a good price and here is what it looks like below. Its is powder coated in black so it matches up with the other vehicle parts, has 6 mounting points that position well over the strongest parts of the gutter at the B, C and D pillars and a full perimeter raised luggage rail. It comes as a kit and you can simply dis-assemble for easy storage. The one important thing for me personally was the fact I still wanted to be able to open the rear sunroof, this is quite often not possible with other racks out there so this was a big factor in my choice. 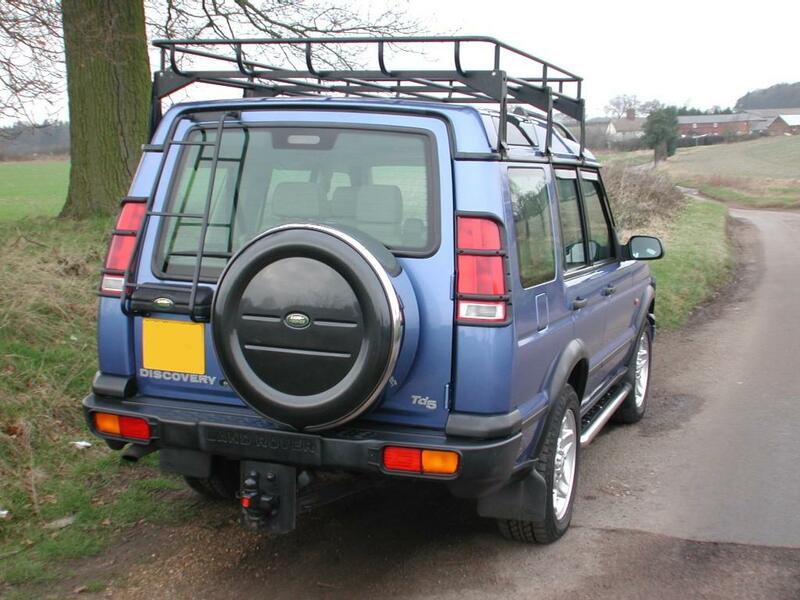 Also, because I have added the Factory navigation system and the Disco 2 GPS antenna was not available ,I used a Freelander GPS whip style antenna which is fitted to the front centre of the roof, I also wanted a rack that would "avoid" that to. Before I bought this particular rack, I did have a "half" length square section roof rack, although this was a nice rack, It soon became obvious that it would not be big enough for everything I wanted to put up there, plus i found it to produce quite a lot of wind "howl" at higher speeds, where as this factory round section rack seems to be a lot quieter. So overall I'm very pleased with how it looks and fits, all I have to do now is work out what equipment goes where and start to find ways to fix / lash it down to the rack, let the fun begin!! I will update with more photos as I add more to the rack, including roof lights, 6th spare wheel, fuel cans etc.